A world-renowned hair stylist and industry innovator, Eric Fisher divides his time between Eric Fisher Academy, his three Eric Fisher Salons, and traveling as a platform artist and educator for Aquage. A master of his craft with a rare combination of artistic and business expertise, Eric has won numerous industry awards including two North American Hairstyling Awards. He has been named “Most Newsworthy Male Hair Designer” by both consumer and trade editors, resulting in two prestigious Editor Choice Awards presented during the International Beauty Show in New York. 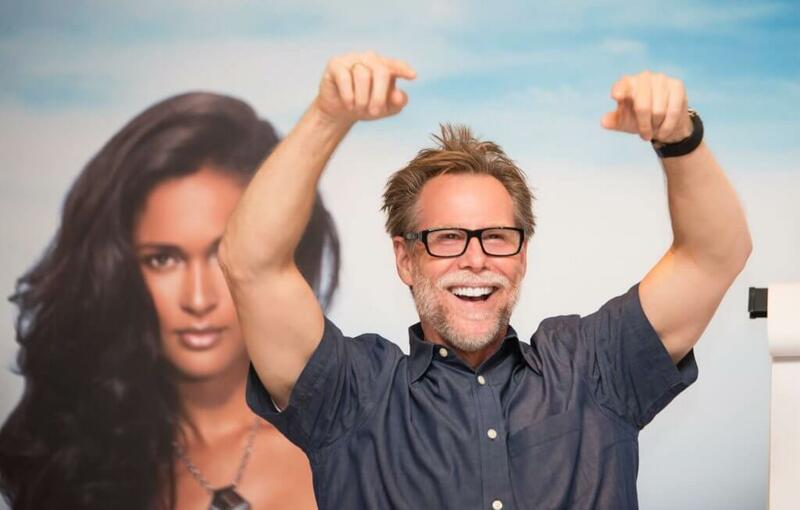 Eric is one of only four Americans to win the Global Business Award from the Anderson School of Business, and he’s been voted one of the “Top Educators of the Century” by Modern Salon magazine. In addition to all of his awards, Eric’s knowledge in the beauty industry is in high demand with leading publications such as Vogue, Elle, Lucky, Self, Glamour, and Allure. Eric Fisher was first introduced to cosmetology in Wichita, Kansas through his hairdresser mother, whom he would visit at work in the salon. She was quite relationship-driven, and Eric found it fun to watch her interact with her clients. They would hug and kiss her and then reach into their pocketbooks and pay her. She often proclaimed that people just wanted to spend time with others who made them feel good, a valuable lesson that Eric took to heart. Ultimately, his mom and this experience with her in the salon taught him about relationships and passion for people. It’s something that Eric carried with him throughout his career. Later, Eric was a music major in college when he dated a hairdresser. He would visit her in the salon where the environment sparked his interest. It was the ultimate opportunity to listen to great music, be around a lot of pretty girls, and be a part of a career where people looked forward to their salon visit. While attending a local beauty school, Eric dedicated himself to his training. As a former drummer in a band, he was well aware that the key to success was discipline and practice. After graduating, Eric hitched a flight to London from his pilot dad to attend the prestigious Vidal Sassoon Academy. During Eric’s time in the U.K., his passion for the industry grew, and through his dedication and hard work, his skills flourished. Over the next several years, Eric worked in salons around the world. He took jobs in places like London, Paris, Seoul, and eventually New York City. He loved every minute of the experience and soaked up as much knowledge as possible. 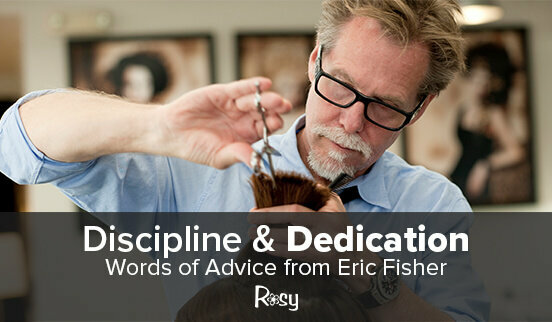 In 1987, Eric decided to return to his roots and opened Eric Fisher Salon in Wichita, Kansas. As business flourished, his reputation grew, so he opened a second salon and eventually a third. As business prospered, Eric became more passionate about education with a sincere desire to share his wealth of knowledge. 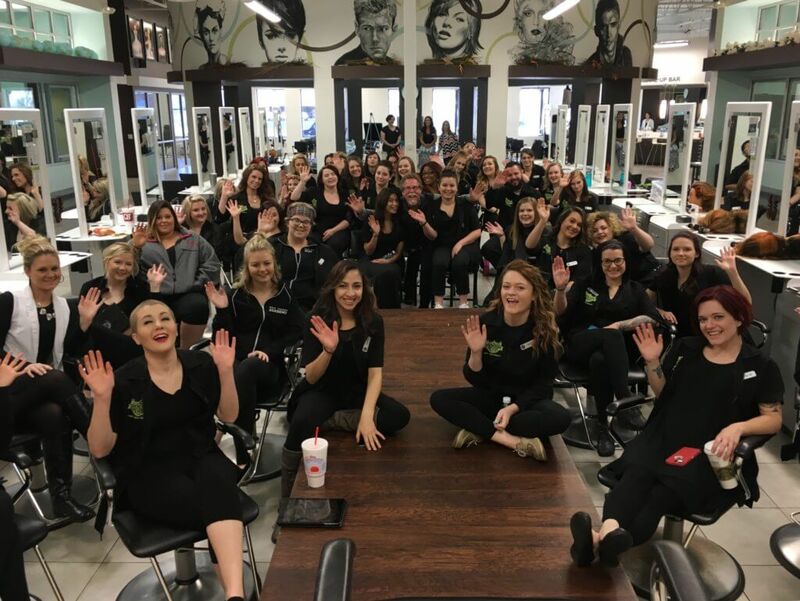 With the mission to provide future beauty professionals with a top-notch education, Eric opened the Eric Fisher Academy in 2007. The academy has since grown into one of the top cosmetology schools in the United States. In addition to three prestigious salons, a namesake academy, various training programs, and numerous best-selling books and CDs, Eric Fisher has realized much success in his illustrious career. But his greatest love, even to this day, is sharing his vast wealth of knowledge. In a recent interview with Rosy Salon and Spa Software, Eric shared his greatest professional achievements and offered the following advice to the next generation of industry MVPs. Rosy: How long did it take before your salon saw a return on your investment? What do you attribute to achieving this milestone? ERIC: I think it probably took a year or so to see a return. This happened because we had a great training program and a commitment to excellence and quality. Our entire team took ownership of the sense of purpose we had about doing quality work. ROSY: What sort of challenges were you faced with once you opened up several salon locations? And how did you overcome them? ERIC: The hardest part about getting bigger is keeping smaller. You have to have a systematic approach to business. Take the variation out of what you do. Have repeating systems, so things are handled the same way at each location. ROSY: What excites you about the industry now? ERIC: Everything. I love seeing my students at Eric Fisher Academy do amazing work. Their capabilities blow me away every single day. In my salons, I love looking around and seeing the incredible things people are doing. My Creative Director, Trish Dool, is always coming up with fresh, exciting ideas. There’s no reason to stand still in this career. If you’re bored in this industry, you might just be a boring person. ROSY: Why did you decide to open an academy? ERIC: Education has always been my passion. I have worked for educational companies since I started in this industry. Eric Fisher Salons have a Tuesday Night Workshop every single week, and we’ve done this for 30 years. I make it a point to hand-train each Learning Leader at Eric Fisher Academy, and we have an amazing school because of this. I just love teaching, and a good leader is indebted to teach what he knows. ROSY: How was it different than running your salons? ERIC: When it comes to the school, you’ve got all the regulatory issues and government interference. You have a lot more structure to work with, and you can’t be in the gray — you have to be black and white. We’ve got Human Resources, Student Services, Admissions, Financial Aid, Director, Assistant Director, Marketing, and more. It’s a much bigger infrastructure of management. ROSY: What do you love most about teaching? ERIC: There’s a quote by Wayne Dyer that I love: “Change the way you look at things and the things you look at change.” I don’t think of myself as a teacher, I think of myself as giving someone the tools to make a great living and increasing their self-esteem. We change people’s lives. ROSY: What do you consider to be the high point of your career? What was your greatest success (professionally)? ERIC: I would say working around the world was fun and something I’ll always remember as being a great time in my life. London, Paris, Athens, Copenhagen, Seoul — I soaked up every drop of knowledge I could. Representing America in the Olympic Stadium when I won the Global Business Award was definitely up there, too. Mostly, my biggest hurrah is when I see my students, whether in the small-town USA or New York City, having a successful career. ROSY: To what do you credit for your success? ERIC: I owe my success to a great team of people who are like-minded individuals that support each other. I surround myself with people who are committed to the same sense of purpose, that care about the client, that care about the student, and who look at the big picture — not the small picture. ROSY: Looking back, what would you tell your 20-year-old self? What do you know now that you wish you knew then? 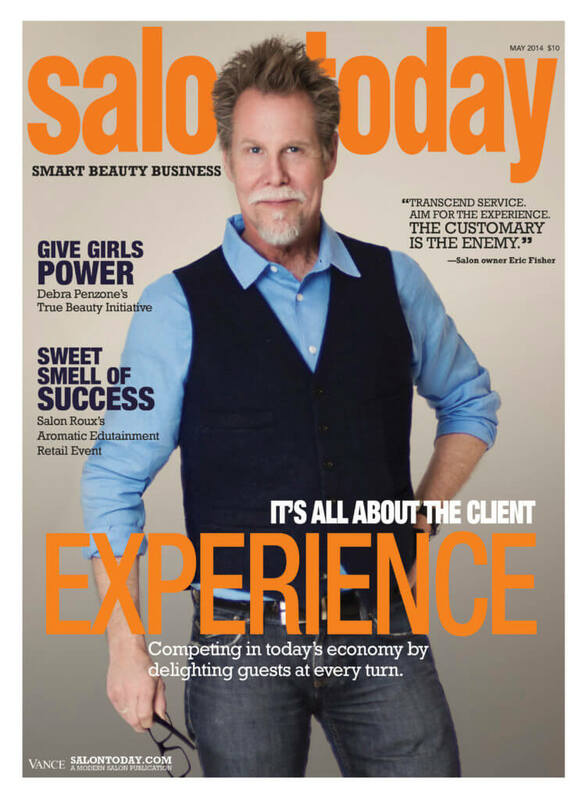 ROSY: What words of advice can you offer to the next generation of salon professionals? ERIC: Be a possibility thinker. Before you get out of bed in the morning, think about what kind of day you want to have and who you want to be. Think about the possibilities for you in this industry. Get your focus straight-on in the morning and try to keep that focus all day long. Failure is a part of the equation of success. Don’t let your past failures determine your future success. Don’t give up, always keep trying. Wow…what a positive and inspiring interview. I really enjoyed what Eric had to say. He seems like a great guy. Yes, very nice guy indeed! Thank you for these tips! Important items are discussed. Very helpful! Looking forward for more blogs.Also provided Human Resources, advertisement and marketing services. Great interview chock-full of inspirational advice. My hat’s off to Eric. Thank you, Andrew! Eric is one of our faves too. So much wonderful advice from someone who is willing to share.